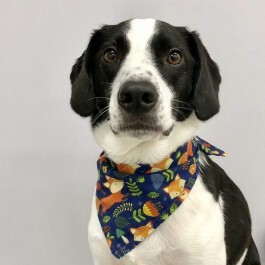 What is the Proper Dog Bandana? This beautiful bandana is handmade in Cornwall with the ultimate comfort and quality in mind. 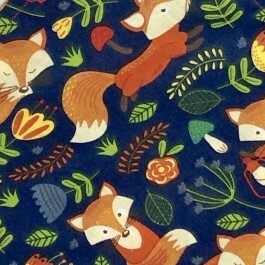 Give everyone a giggle with this cheeky blue Woodland Fox pattern. Proper Dog uses double-sided, colourfully patterned polycotton fabric to create their bandanas and finishes them with a satin 'Proper Dog' label. Please Note:Each Proper Dog bandana is lovingly handmade to order and can take 3-4 days to make, but it is well worth the wait! 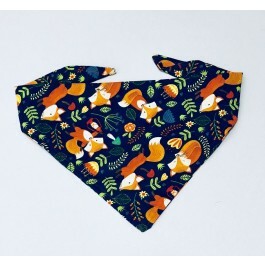 What are the key properties of the Proper Dog Bandana? How do I adjust the bandana? Adjust by rolling down the fabric to suit your dog. Ensure the fit is snug but not too tight. Secure with a double knot. How do I wash the bandana? Handwash, or wash at 30 degrees when required.